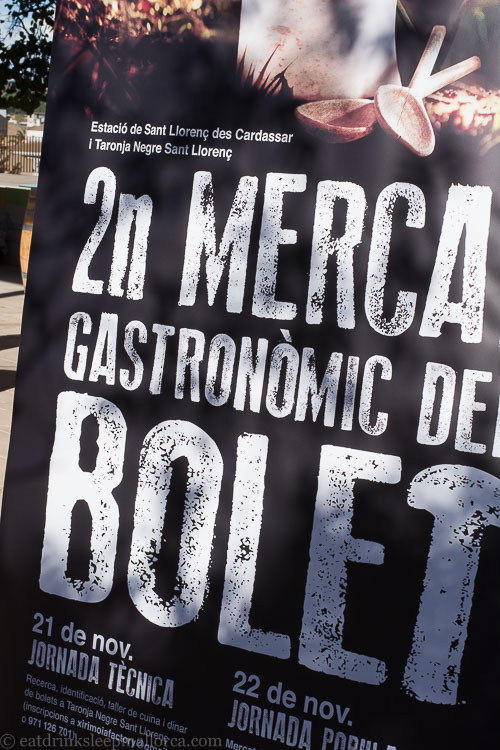 Today we visited one of the most enjoyable foodie events we’ve attended on Mallorca in more than a decade of living here: the 2nd Mercat Gastronòmic del Bolet, in Sant Llorenç des Cardassar. 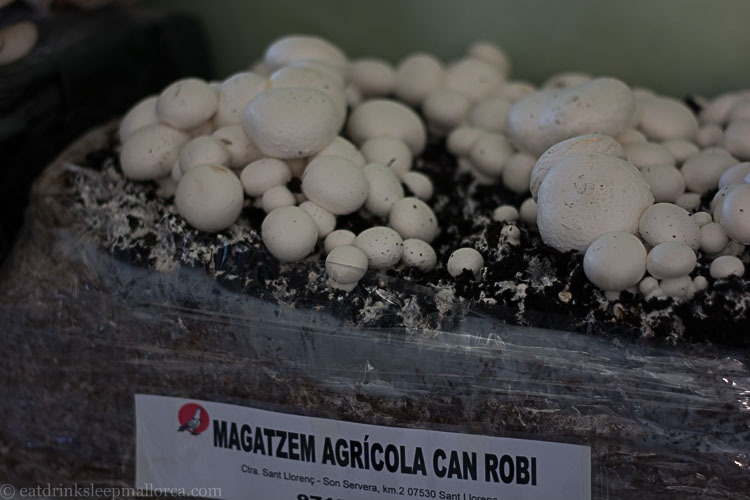 The first edition of this gastronomic mushroom market last year somehow didn’t appear on our social radar, but this year the event was widely publicized. 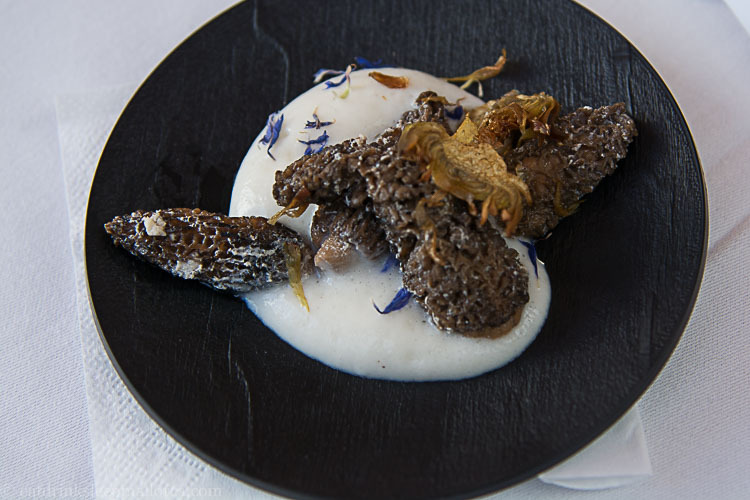 It was organised by the Sant Llorenç council, Xirimoia Factory (gastronomic productions), and the Sant Llorenç restaurant Taronja Negre (owned by Tomeu Caldentey, who also has the Michelin-starred Bou restaurant in Sa Coma). Congratulations have to go to everyone who was involved in what turned out to be a superb way to spend a few hours on a Sunday. 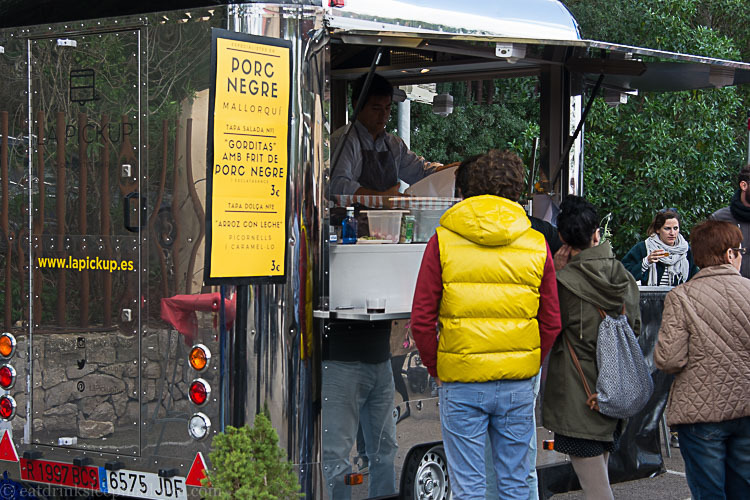 The event venue was the town’s renovated former railway station, alongside the Via Verde eco-path, which proved to be an ideal space. 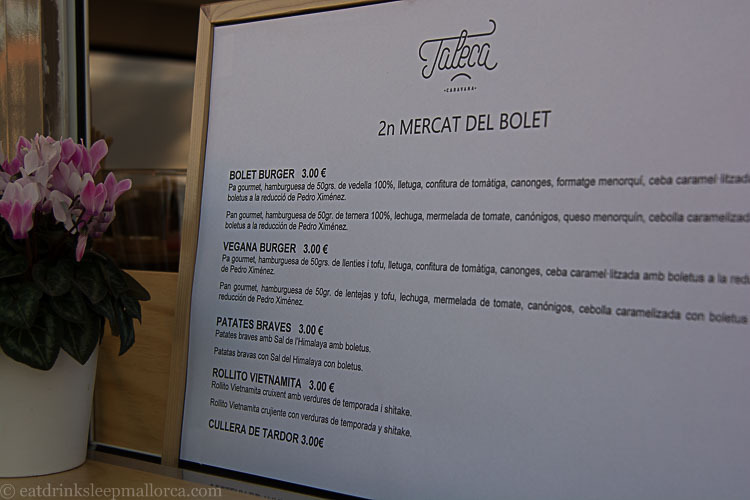 On arrival, visitors passed a number of market stalls – the mercat del boletaire. 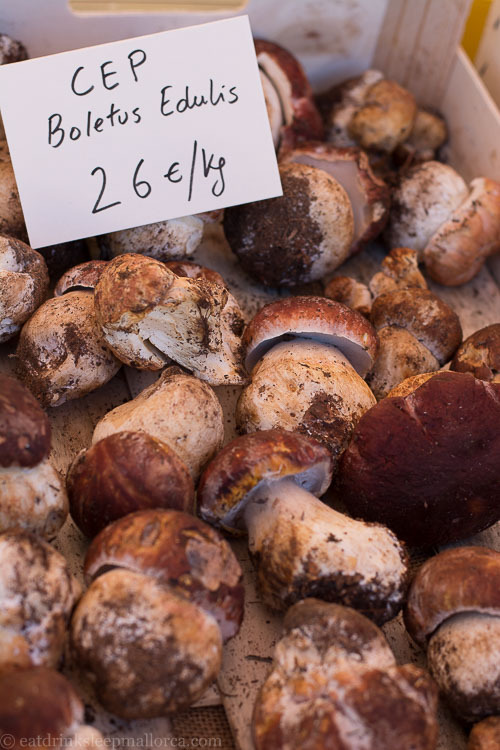 Here you could buy wicker baskets and various mushroom-collecting paraphernalia; a wide variety of dried and fresh mushrooms, and a book about all the types of fungi found on Mallorca, on a stall manned by the author. 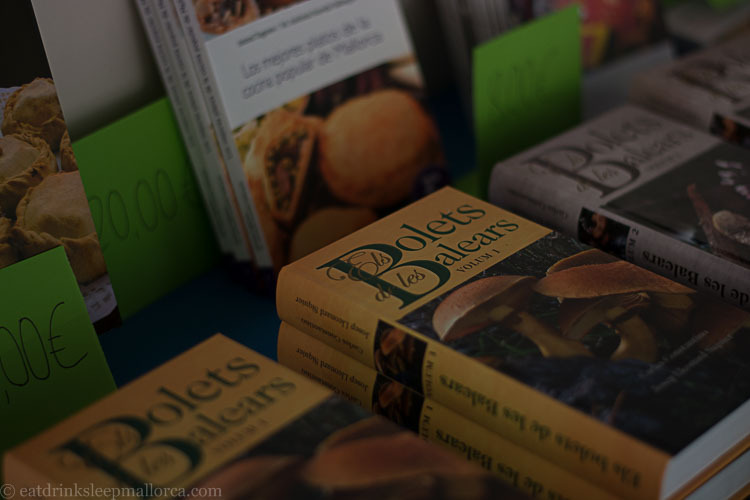 Although this book was written in Mallorcan, rather than castellano, I made a mental note to buy a copy on the way out. By the time we left, sadly, there wasn’t a copy left. 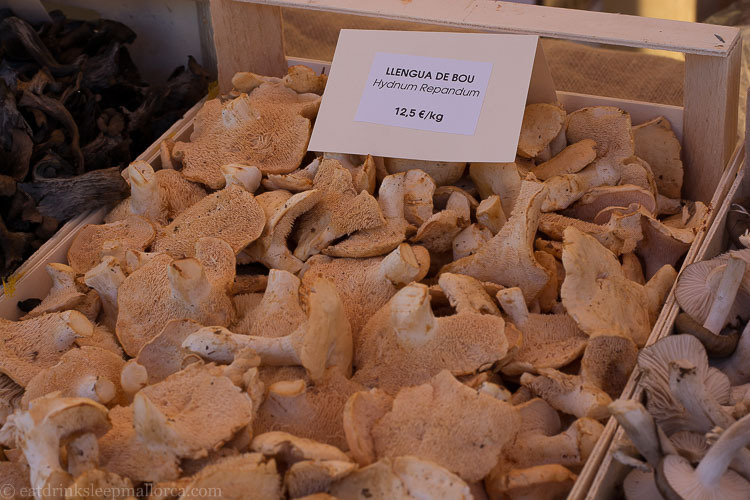 I did, however, buy a box of dried trompeta negre wild mushrooms for an excellent price – and resisted the white truffle on sale, priced at 3,500 euros a kilo! 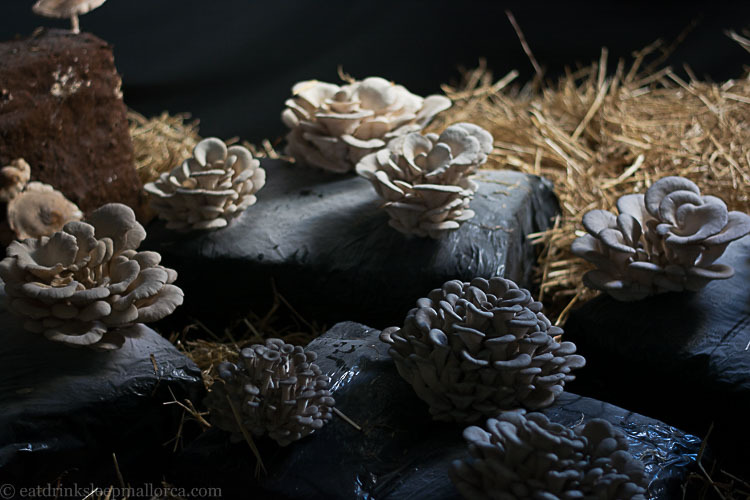 There was an exhibition of different types of fungi, books with mushroom recipes, and some arty framed photos of fungi, which made me look at the beauty of nature’s autumn gifts in a new way. 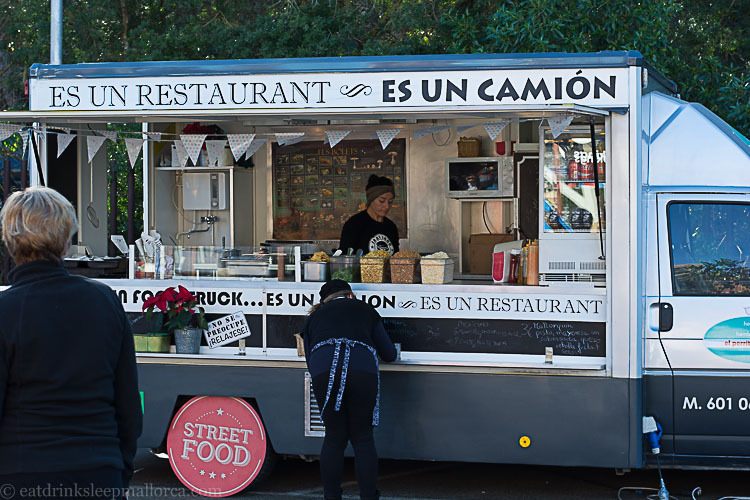 Food trucks have become trendy additions to Mallorca’s recent gastronomic events, and six were present at this one – all serving dishes featuring some type of mushroom. Of course we tried a few. 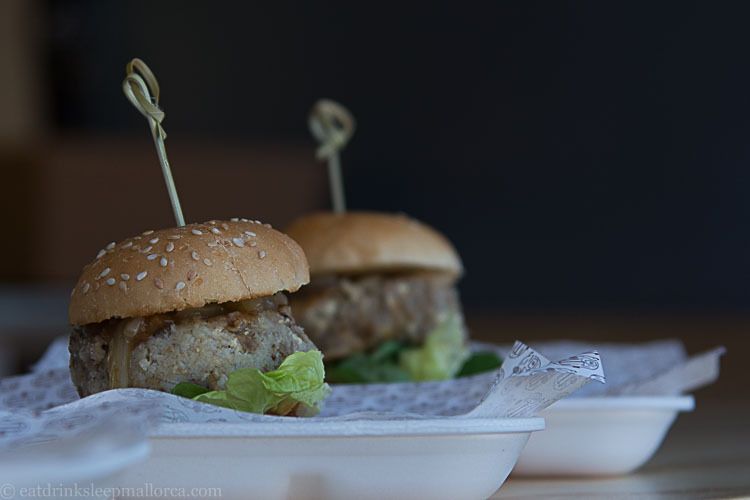 One of them, Taleca, even served a vegan burger – which would have been unimaginable on Mallorca a few years ago. 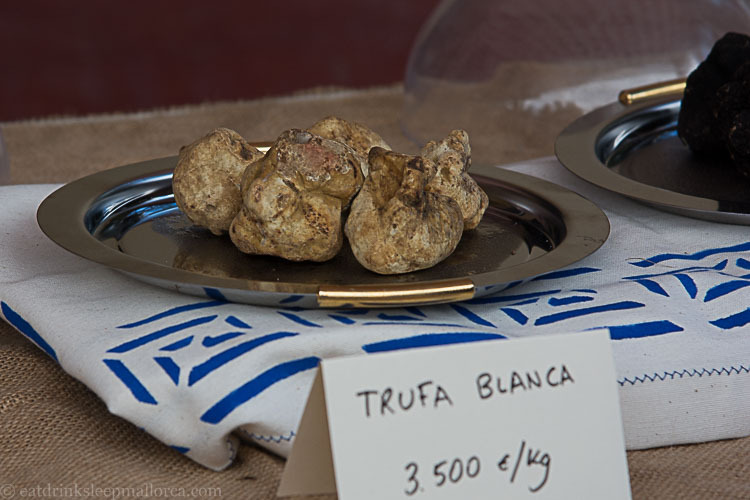 Several well-known island restaurants also sent their chefs to run stalls selling gourmet tapas – among them, Arume (Palma), 3/65 (Son Brull Hotel & Spa Pollensa), and Cap Rocat (Cala Blava), and Taronja Negre. 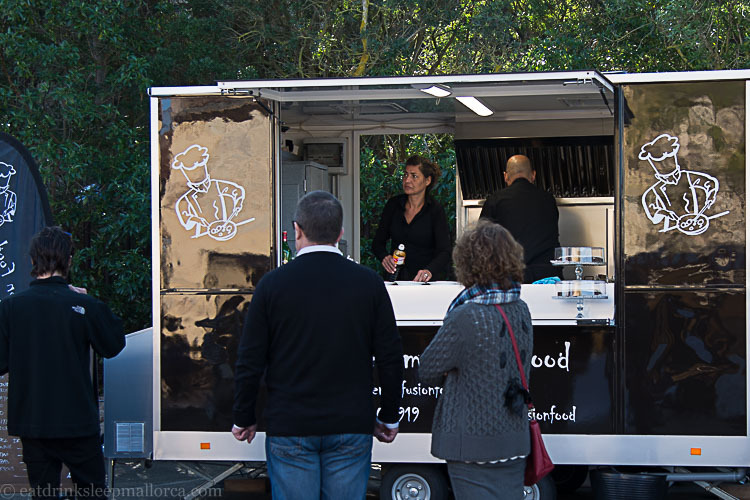 Local company Marabans Coffee & Tea had their own smart truck selling hot drinks and, for those who preferred something a little stronger, there was wine, cava from Anna Codorniu, and beers from Ambar. These drinks were all served in a central area, set out with seats (some on hay bales), and glass-topped wine barrel tables. 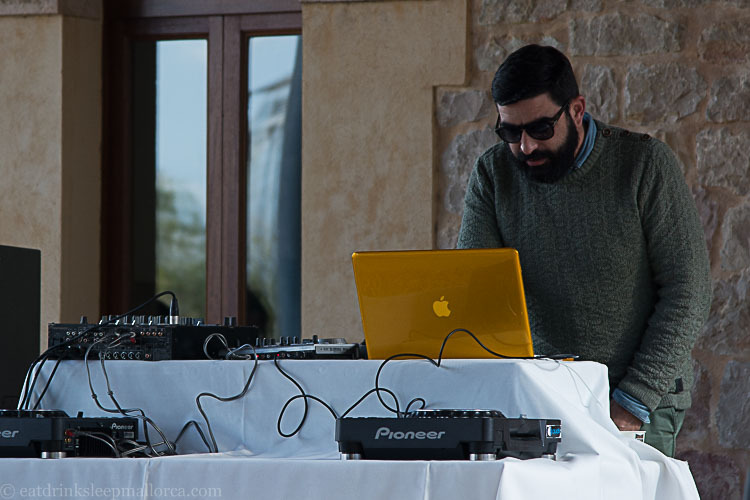 There was even a hip DJ (complete with the obligatory dark glasses and beard) playing good music. 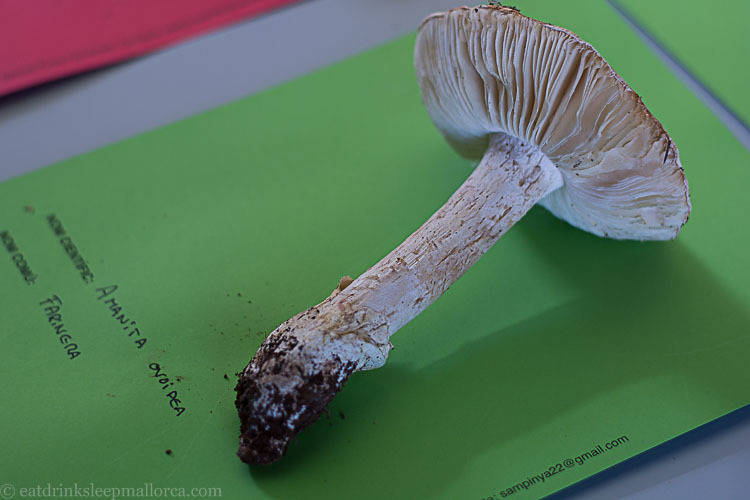 What made the event even more special was the presence of ten great chefs from Mallorca (and even one from Menorca) who each did a 30-minute show cooking – demonstrating their own mushroom recipes. Seating within the station had been arranged in tiers so that everyone could see, and there were two TV screens also projecting the demonstration. I was impressed by the organization – and by the numbers of people eager to watch some culinary heroes at work. 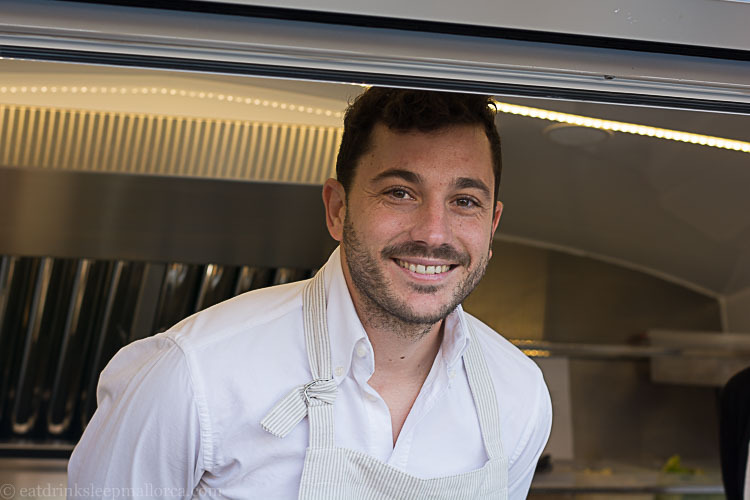 Chef Koldo Royo did a great job as MC, introducing each chef. 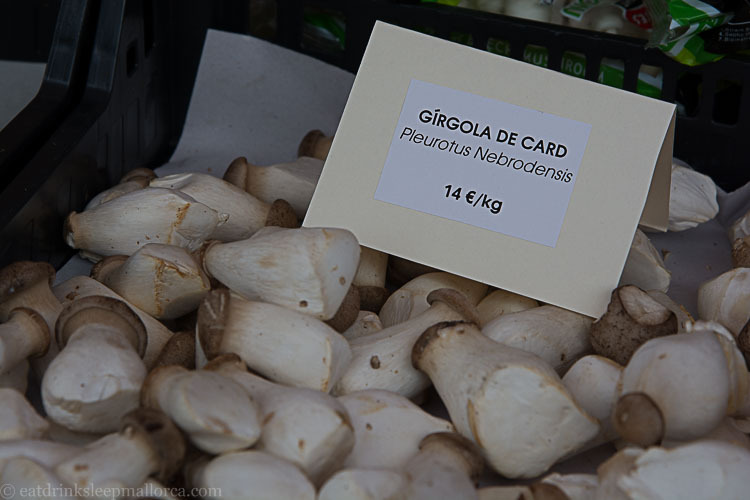 This gastronomic mushroom market was an event we’ll be talking about for some time. It was extremely well attended, had a good atmosphere, and people of all ages seemed to be enjoying themselves. We loved it! Jan, sounds like it was wonderful! 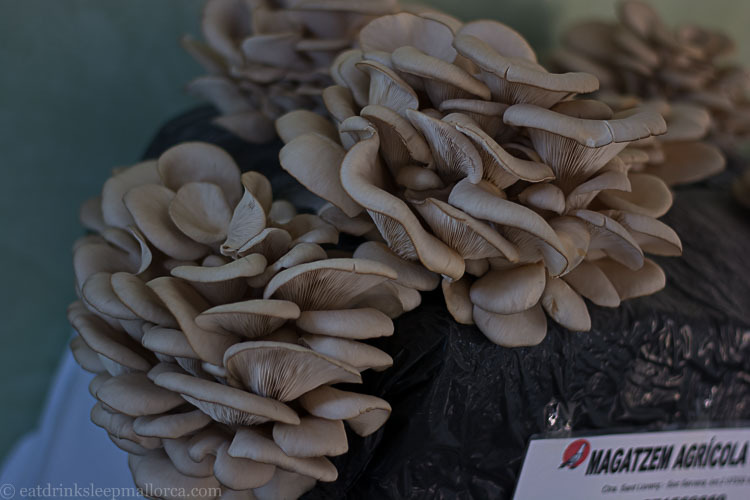 Recently read an article (while at physio and waitiing) about some guy in the US who has discovered how mushrooms can detox and can remove toxic waste -quite amazing. He can adapt different ones to different uses, for medicine and for environmental uses -apart from the edible aspect of some of them, naturally!!! It was excellent, Louise! Sounds like an interesting article. I have a cold but, after today’s lunch of home-made mixed mushroom soup, must say I feel a little better!